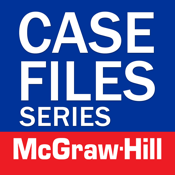 Sharpen your critical thinking skills and prepare for real-world practice with the venerable LANGE Case Files, the world’s best-selling case series. Experience with clinical cases is key to excelling in your rotations and post-graduate training. 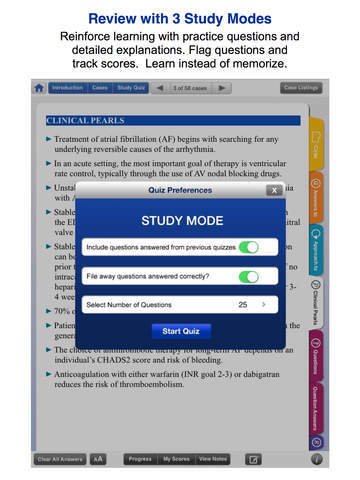 Case Files is an excellent study resource for medical students traversing their clinical clerkship with realistic cases and accompanying USMLE-style questions. 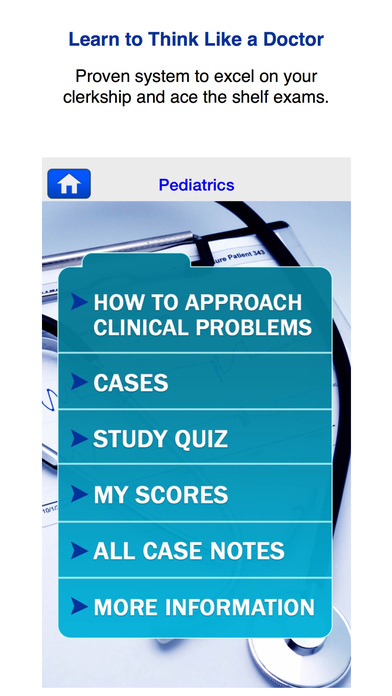 This free application includes 1 sample case study from each of the titles that are available. Each full application is available through an in-app purchase of $29.99 USD. 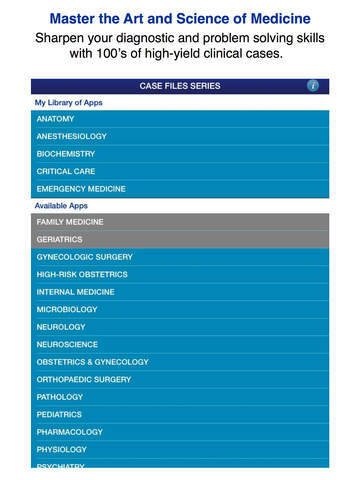 These Case Files apps will help you excel on the clerkship and improve your shelf-exam score. 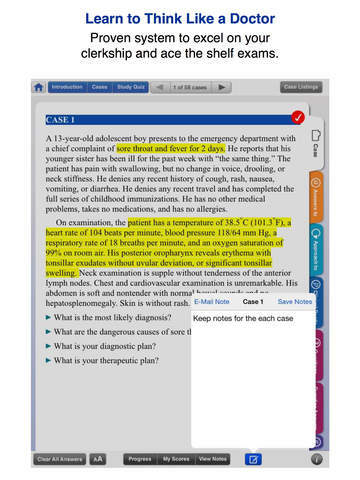 • Highlight key concepts in each case.